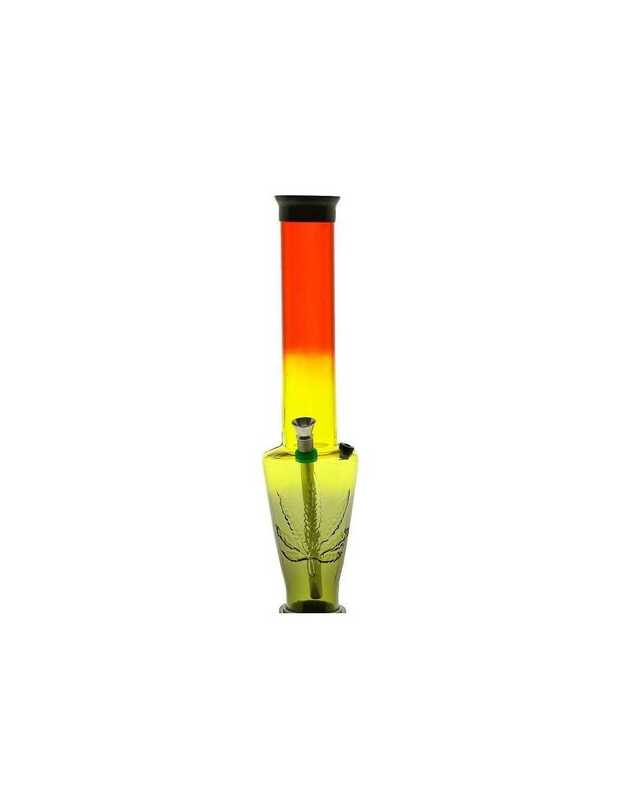 Acrylic bong with attractive Rasta look. 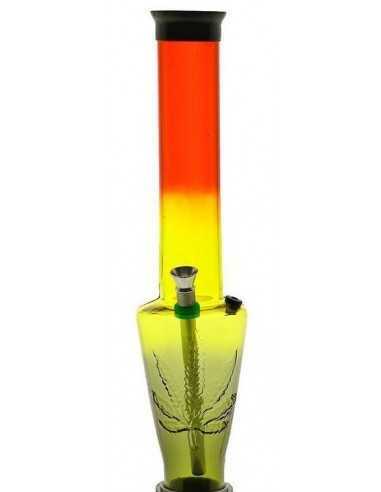 In addition to the colourful design, it features an ornament in the shape of a hemp leaf. Manufactured in the Netherlands. 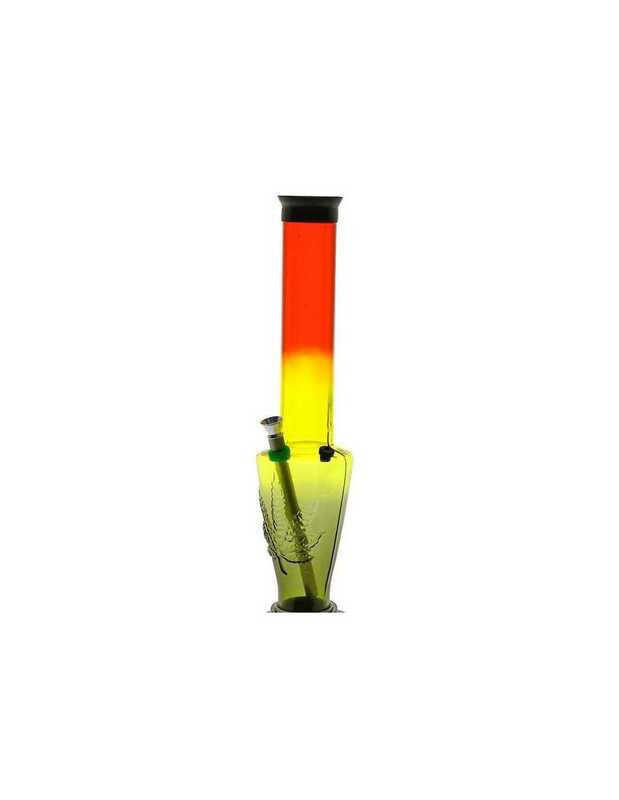 These pipes are made of quality American acrylic and offer a remarkably good finish.